FedRAMP is a U.S. government-wide program that provides a standardized approach to security assessment, authorization and continuous monitoring for cloud products and services. The program was developed to significantly reduce the effort and expense that would be incurred by government agencies to achieve high-level standards for securing government data. Project Hosts is a FedRAMP authorized CSP that Federal and State Government agencies, and ISVs, rely upon to achieve FedRAMP cloud compliance for their applications. Our Federal Private Cloud for Windows and Linux apps is a turnkey security envelope built on top of Azure that delivers compliance at the FedRAMP and DoD IL 5 levels. With this security envelope and our managed services process, we can get your application up and running in a FedRAMP compliant cloud quickly, easily, and cost-effectively. Click here for our full line of FedRAMP Security Services. As a government agency or app provider, if you are considering getting your applications FedRAMP authorized, you are facing a long and expensive process. Having been through this process ourselves and by working with more than 20 ISVs, we know that the FedRAMP process can take you anywhere from 1 to 2 years, and cost upwards of 1 million to 2 million dollars if you do it yourself. You can dramatically reduce the time and expense of delivering your application from a FedRAMP authorized cloud by working with Project Hosts. We can typically achieve a FedRAMP authorization in as little as 2 months, at a fraction of the cost of doing on your own. Project Host’s Federal Private Cloud supports more than 17 applications from leading software vendors. 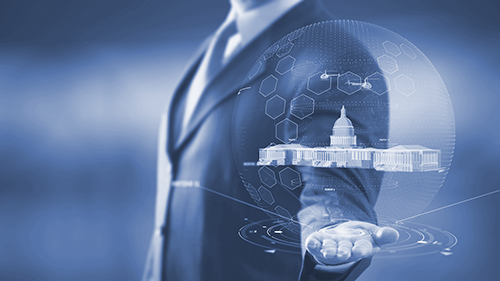 Gain your FedRAMP SaaS-level compliance in record time, at a faction of the costs of doing it yourself with Project Hosts’ Federal Private Cloud and Managed Services. Extend Azure’s IaaS and PaaS FedRAMP compliance and gain full SaaS-level FedRAMP compliance at the DoD IL 5 levels. Doing FedRAMP SaaS-level authorization on your own could take 1 to 2 years, working with Project Hosts we can get you into a FedRAMP-compliant environment in as little as 2 months. The FedRAMP process can cost upwards of 1 million to 2 million dollars if you do it yourself. You can dramatically reduce the time and expense of delivering your application from a FedRAMP authorized cloud by working with Project Hosts. Gain access to the more than 17 applications already in our Federal Private Cloud that are FedRAMP authorized at the SaaS-level. By partnering with Project Hosts, ISVs can deliver their Windows (and Linux) applications as a FedRAMP authorized cloud service much faster, and more affordably than doing it on their own. The following ISV Applications are available as a FedRAMP SaaS-Level Compliant cloud service in Project Hosts’ Federal Private Cloud.